Right, here we go ! You’re all fired up about learning the sarod, have found a physical or virtual teacher but need to find a sarod. How do you go about it? Firstly, it’s best to get a sarod to suit your school (gharana) of playing. It’ll be a lot easier on you and your teacher if you get one from the same school. So, get a Shahjahanpur, Maihar or Amjad Ali style sarod. You can find good ones from Kanailal, Dulal and of course the Hemens. Delhi Music Stores (DMS) sell some decent ones. Tarab: You can start with 1 as Sa and then go on to 00. In the Amjad Ali Style, a smaller plectrum is used. Get a few and then find the one suited to your style. Unless you buy a ticket for your instrument or fly first class, a sturdy fibre glass case is a must. Most of the ones in India are fairly poor quality and fall apart (especially the wheels). Get a decent one which looks like it’ll last the trip and pack the sarod well with bubble wrap and other packaging. 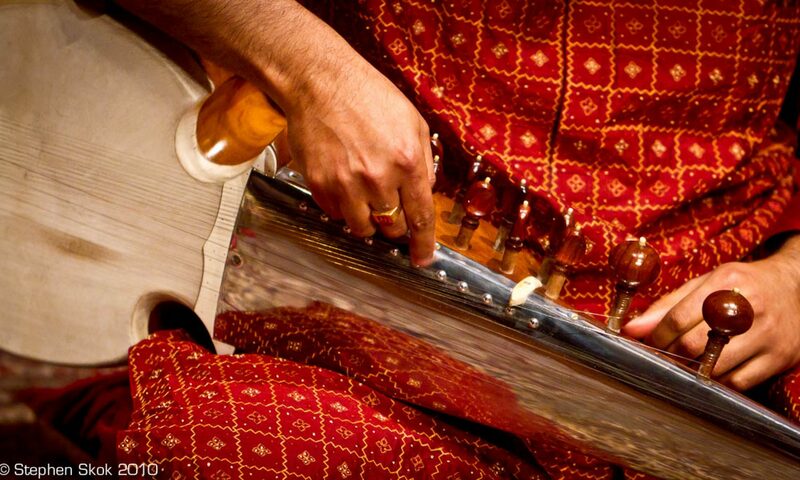 Make sure that there is a gap between the top of the sarod strings and the case. Do not buy sarods from the internet unless you know who the sellers are. This is of course if you are not interested in having a decorative sarod in your living room….